Mark your calendar for a workshop! E-Learning expert, Yujen Lien (连育仁 老师), and founder of Ponddy Education Inc., Franz Chen, will guide you how Artificial Intelligence (AI) would assist teachers and students to learn Chinese in this wonderful workshop. JOIN US! Can not make it? There is still a chance to participate the Raffle. Winners will each receive 6-months subscription for a teacher and up to 20 students to access Ponddy Chinese Smart Textbooks. 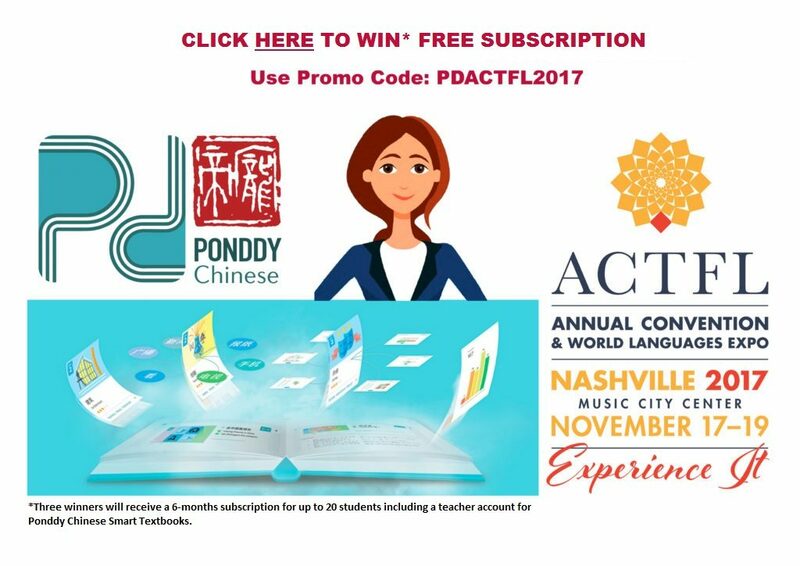 Click HERE to fill out form with promo code (PDACTFL2017). You might be the lucky one! Next PostCongratulations to all winners!